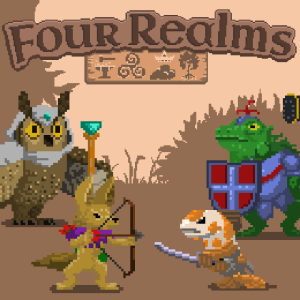 Four Realms: Successful Greenlight Postmortem | Hugebot! It’s done! Four Realms is Greenlit! Yet the victory, while important, feels shallow. 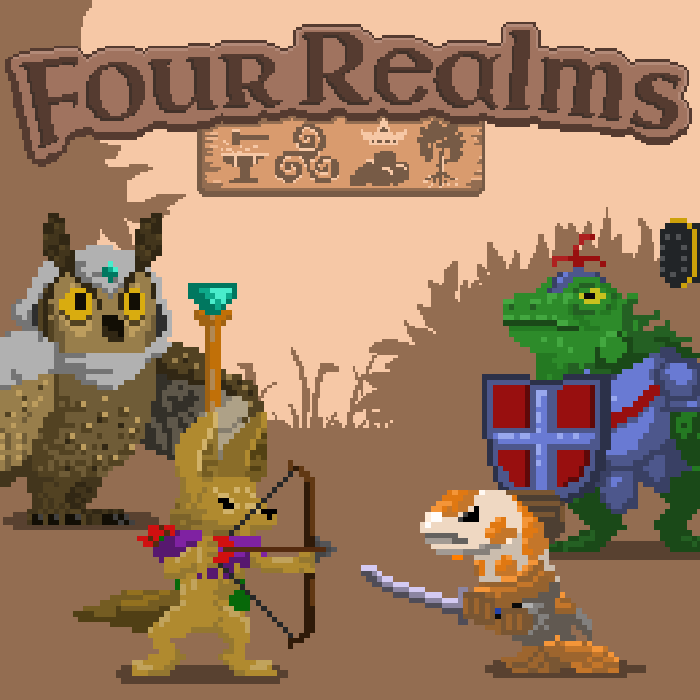 Let’s take a look at Four Realms’ Greenlight process and see what we can learn. Not much was well executed on this Greenlight project. In fact, really only one thing was. I didn’t give up. Despite a terrible Kickstarter and a lack of media attention, I was determined to make this game happen. While the Greenlight may feel rigged against garage devs, don’t despair. If you want your game on there, keep at it. Post updates, new photos, demos, anything. Just keep the news going, keep showing people to the page, and show you are devoted to making a great game; and you will get Greenlit. The Greenlight project launched at the same time as the Kickstarter. It suffered from many of the same faults. You can read in detail that post mortem here. There were a lot of mistakes, I’ll reiterate the more important ones here. It’s hard to say if this is the biggest problem. But Four Realms is a hard game to sell. It’s an obtuse selling point with a non popular genre. Many people look at the animals and think it’s a kids game. The initial trailer for the game was terrible. Having had time since then a new trailer is out and I feel I’ve learned from my mistakes. A few key points here. Many people want a movie experience game and trailer. 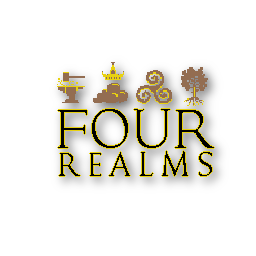 I tried to do this with the initial trailer, but this is not what Four Realms is. It has a story, but it a set piece to the game itself. The trailer took to long to get to the meat of the game. By 30 seconds I had explained the story, the least important part of the game … oops! The trailer didn’t take the time to show what the game could do, sure there were giant mice and explosions, but it was hard to tell what was going on. Everyone says you need a tribe, and certainly I failed to build one for Four Realms, but on further recollection, I’m not sure what I could have done for this. Most people who cite this have some level of notoriety to bring to the table and it’s a matter of mustering the troops. For a true garage dev, this is a challenge that you can’t really solve until you’ve had a hit. Now, let me clarify, I’m not saying you shouldn’t try to build a following. You most certainly should! But the reality is it will be small and not enough to bring the proper numbers that bigger studios can. Put out demos, go to conventions, do anything you can to drum up interest before going live. While the process is still shrouded in mystery, one of the great things about running a Greenlight project is you can look at the top games and see how you compare. A rough analysis of the top 100 will reveal that you will need about 10,000 unique visitors, you will get about 3000 votes, and about 1000 votes will be yes. Four Realms did OK on votes, not so great on yes votes, and terrible on views. It was good to see people voice their opinions on the game, some arbitrarily nice, more arbitrarily not nice. The game didn’t fair well in yes votes, but that’s reasonable considering it’s not the prettiest game and not in a popular thematic genre. But the game did great on followers and favorites. Meaning those that like it and got it, wanted to see it through. The biggest failure was merely unique views. And this will be the toughest part of garage development, how to get people to look at your game. I was ramping up for a big media push again, when I got the rugged pulled out from under me, the game was Greenlit. While this is great news, I felt a little deflated as I was trying to step up to the challenge of getting people to even look at the game. So how did Four Realms get Greenlit? I don’t know. I have only two guess. a) Four Realms had enough momentum that it would have eventually hit the numbers needed. So maybe it didn’t have 1000 yes votes, maybe it was on track to get that number by the end of the year. b) There is a human part of the Greenlight process and somebody dug the game. Whatever may be the final reason Four Realms got Greenlit, I’m happy it did. While it was a hollow victory I’m looking forward to bring the game to everybody by the end of the year. Demo v0.1.19 is here! Greenlit!